Do you love Macaroni Grill? 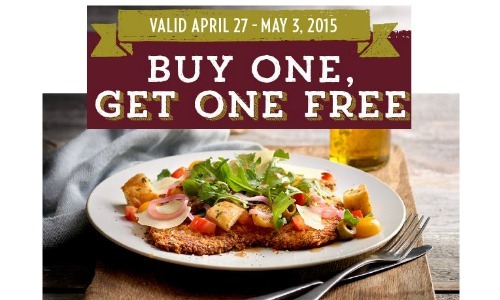 Right now you can print a coupon good for BOGO lunch entrees! The coupon is good for their new Kitchen Counter express lunch service where they guarantee that your lunch will be ready in 7 minutes or less. This service would be great for a lunch during your workday!